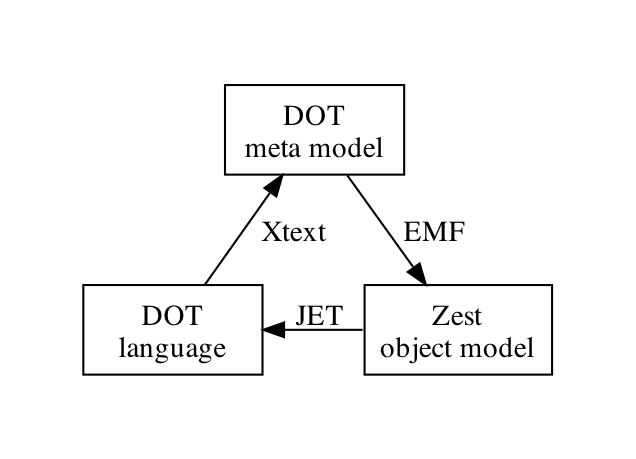 Implementing Graphviz DOT input and output for Zest using Eclipse modeling technology (solid arrows represent existing components). 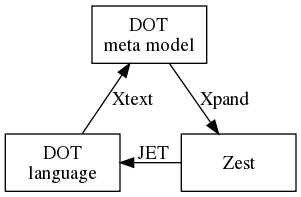 09:26, 29 March 2009 452 × 416 (20 KB) Steeg.netcologne.de (Talk | contribs) Implementing Graphviz DOT input and output for Zest using Eclipse modeling technology (solid arrows represent existing components). 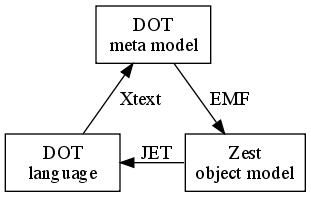 This page was last modified 09:41, 8 November 2010 by Fabian Steeg.